It’s easy to get caught up in the latest exercise or workout routine to turn you into your ideal you – sculpted shoulders and biceps, slim waist and hips, but there’s something more basic and frankly more important to pay attention to. The best thinkers in the field of manual medicine, embrace and promote the concept of a neutral, braced and organized core, as the keystone to a healthy spine and by extension, shoulders, hips, and knees. This concept is not new, but is sometimes a step-child to strengthening other areas. Your exercise plans can be thwarted by injury when you’re not paying attention to the strength of your core, which is the area that needs to activate before you dunk that hoop, swing that golf club, walk, run, jump, squat, lift or push. If you’re working your core and have that great six pack going for you, great job. Did you know, however, that your glutes are considered part of your core? Chances are you may be working either your core or glutes, but science tells us that we need to work both for optimal power. This advice to add core strength into your routine is not a fad and it’s benefit is not to slim down your hips, decreased your waist size or develope your six pack (although those are all a bonus). The science of human movement has studied and recognized the necessity of a braced, strong and organized core for optimal human performance. 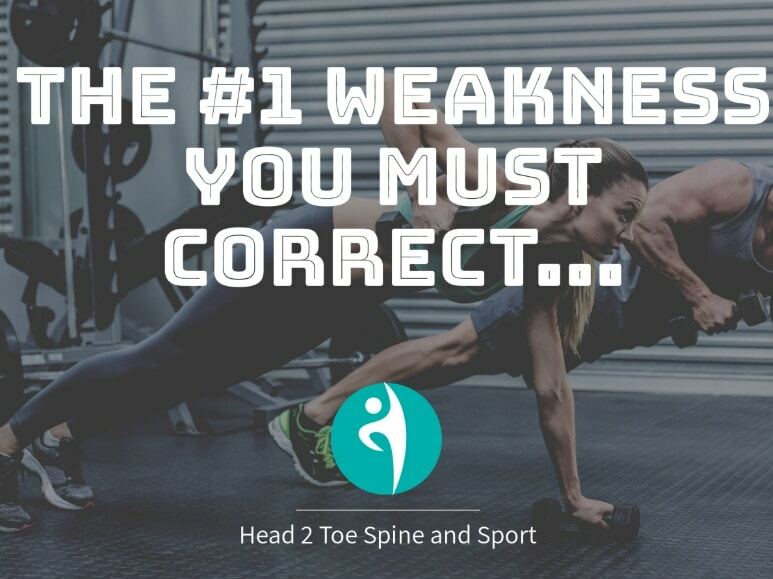 During the month of October, take a look at core videos we put on our FB page at Head2Toe Spine and sports therapy; nothing fancy, nothing flashy, but good basic information and advice or adding “core” work into your routine. ← Growing Pains – A Childhood Myth or a Reality?